India is an incredible destination which offers everything, right from breathtaking destinations to alluring attractions and luxurious accommodation. One of the most traveled destinations of India, Gujarat is a colorful state which promises a great holiday to every traveler. Gujarat is dotted with a number of heritage hotels which add to the traveling experience of the tourists. Heritage Hotels of Gujarat are architectural marvels which offer a dream-like stay to every guest. These hotels feature different styles of architecture, Marwari, Portuguese and Sindhi being the most popular ones. Set on the coast of Gulf of Kutch, Jamnagar is a beautiful city known for its beaches, wildlife sanctuaries and temples. Jamnagar attracts tourists from all across the country and the world. 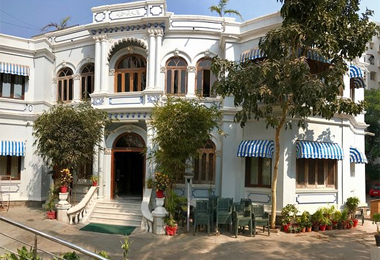 The city houses one of the best Heritage Hotels of Gujarat. Hotel Aram is a Heritage Hotel which not only offers a luxurious accommodation, but also takes the guests back to the glorious history of Gujarat. Also, the hotel is popular for its heartwarming hospitality and modern amenities.